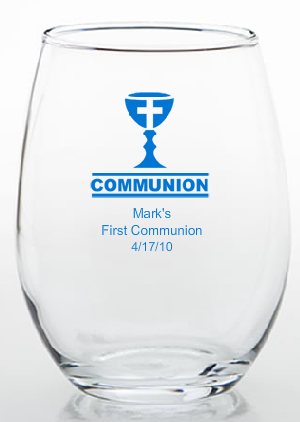 ⁄Communion Favors⁄Personalized Communion Favors Stemless Glass/Trinket Holder - 9 oz. 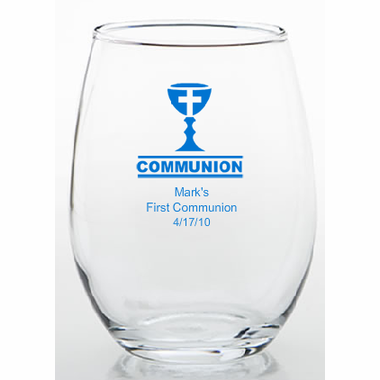 ⁄Communion Favors⁄Communion Glassware⁄Personalized Communion Favors Stemless Glass/Trinket Holder - 9 oz. 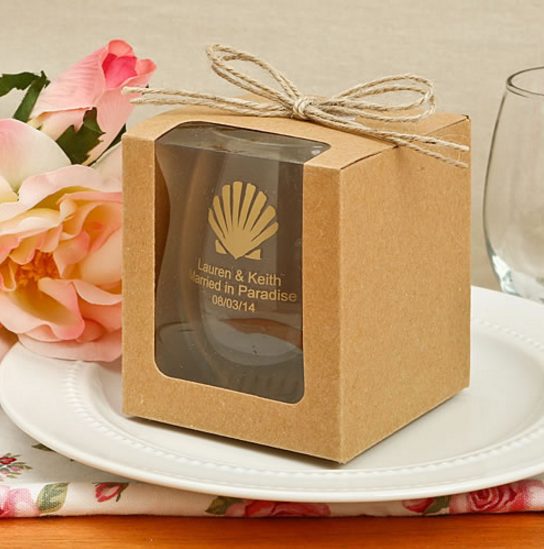 Our stemless wine glasses are great personalized Communion favors because they have two uses. Adults can enjoy them for wine and young adults will use their personalized Communion favor as to hold trinkets. The glasses were delivered on time and very well packed. Not one broken. Only thing is need a few more and had to pay the $35 for the order twice. Should save the template at least for 1 month.